Navajo Native American turtle. 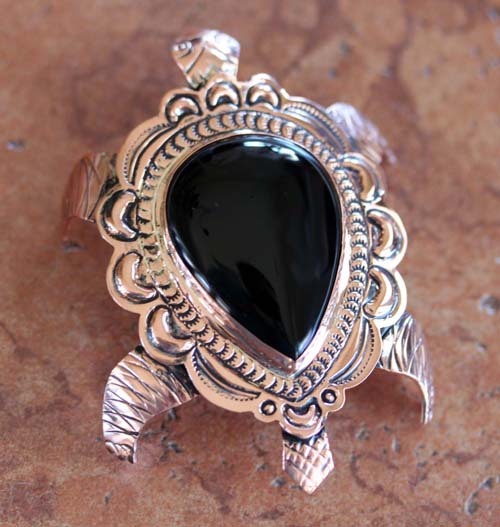 It is made from copper and onyx. It is about 3 1/4" in length and 2 1/4" in width.